Federal Donuts' "Berries & Cream" Donut. 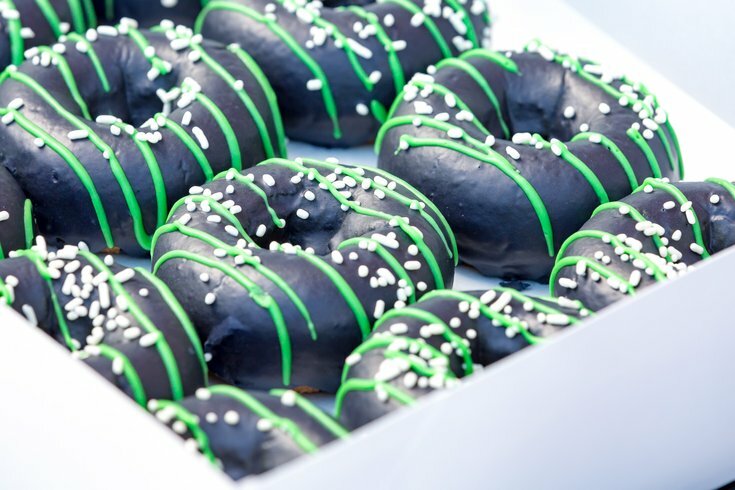 Some people consider Federal Donuts’ sweets to be works of art. Apparently, Philadelphia’s Mural Arts program agrees. Next week, the Philly doughnut shop and the city’s storied mural program will be teaming up to offer a brand new doughnut called “Berries & Cream” in honor of October being Mural Arts Month. The doughnut will be available at any Federal Donuts location across the city between Oct. 1 and Oct. 8, and a portion of the proceeds will be heading to the Mural Arts’ Art Education program. The Mural Arts Art Education program provides a special combination of in-school and after-school arts-based programming for more than 2,000 students at 25 sites across Philadelphia. During October, the Mural Arts Program has 23 events and events scheduled to celebrate Mural Arts Month. You can find the full list here. Now who do we have to talk to get a mural of a doughnut …?